Much like the Chattahoochee, the Nantahala, the Hiawassee and the Toccoa Rivers, Chapter 692 of Trout Unlimited originates in North Georgia and Southwest North Carolina. In October of 2003 nine fly fishermen began an organization which has grown to a current membership of 140 men and women. The chapter is an active organization which promotes conservation and protection of our rivers and the trout that inhabit them. Our members support the local fish hatchery in Suches, GA and support local communities. Through Trout in the Classroom and Trout Camp we help future generations to realize our ideals. The education of members is another goal. 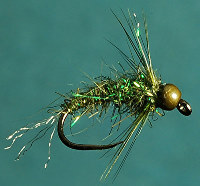 This is realized through speakers, casting instruction, fly tying sessions, and fishing trips. Come meet with us�to learn, to conserve, and yes�to fish!